A trilingual Mass closes a triduum in honor of Our Lady of Perpetual Help at her namesake basilica in Sunset Park, on June 26 at 6:45 p.m. with a street procession and refreshments in Notre Dame Hall to follow. Married couples, rediscover something amazing this summer – each other. Treat yourselves to a weekend away with the Worldwide Marriage Encounter at the Immaculate Conception Pastoral Center in Douglaston, July 11-12. For more details, visit www.wwmebq.org org call 1-877-697-9963. If you’ve always wanted to visit the Holy Land, the parish of Blessed Sacrament, Jackson Heights, is organizing a pilgrimage, Nov. 9-18, for $2,998 per person. For a brochure, call Regina Tours at 1-800-228-4654, and ask for Angelica Villegas. This summer, the New York City Fire Department is hosting summer block parties to get to promote community relations and fire safety education at locations throughout the city. This Saturday, June 27, the party will run from 11 a.m. to 4 p.m. at the New York City Fire Museum, located at 278 Spring Street in Manhattan. All are welcome. Call 718-999-8112. The Sisters of St. Joseph, Brentwood, L.I., are proud to report that golfers, sponsors and guests who attended the community’s 20th annual golf classic on June 10 not only had a beautiful day, but also raised more than $120,000 to support the Sisters’ mission and ministries! 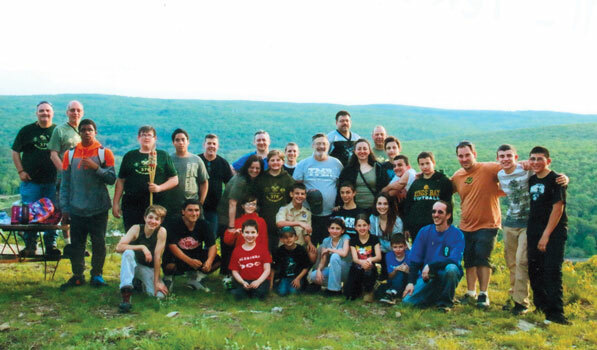 Kujengans, supporters and friends are invited to celebrate the 25th anniversary of the Kujenga Leadership Program at the Immaculate Conception Center, Douglaston, on July 26. Sponsored by the Vicariate of Black Catholic Concerns, the festivities begin with a rite of passage ceremony for this year’s youth and a Mass of thanksgiving at 2:30 p.m. Cocktails and a dinner dance follow at 5 p.m. Tickets are $60, and formal attire is required. For tickets and details, call 718-774-3806. All are invited to St. Mary Star of the Sea Church, Far Rockaway, this Sunday, June 28 for the International Feast of St. John the Baptist, 1-8 p.m. with DJ, rides, games and food. Call 917-690-8781. 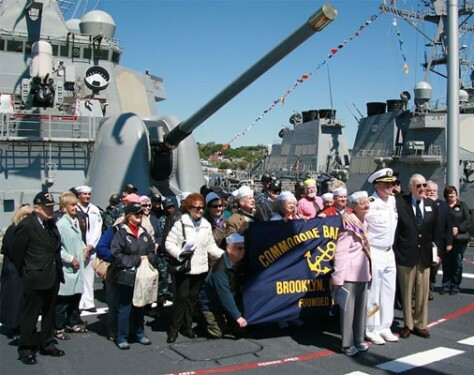 During Fleet Week, the Commodore Barry Club of Brooklyn visited the U.S.S. Barry, a naval destroyer at its homeport of Sullivan Piers in Staten Island. Named in honor of Commodore John Barry, the Catholic son of a poor Irish farmer who became the father of the American Navy, the ship conducts air defense, anti-submarine, anti-surface and strike operations.